If you like good music, female representation, amazing Instagram feeds and speaking your mind then get ready to fall in love with The Aces. 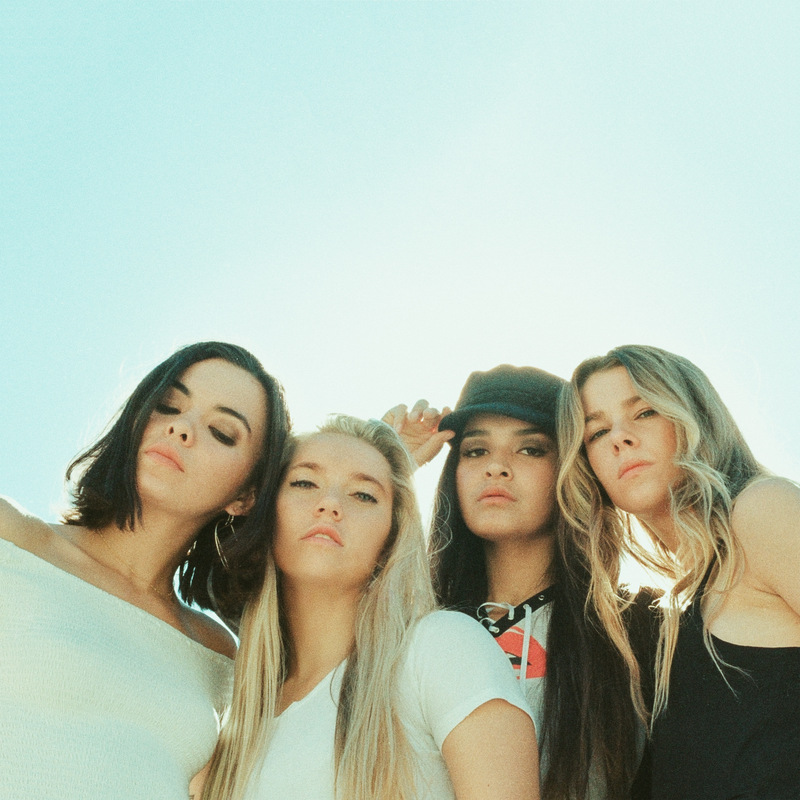 The Aces have been a band since they were children growing up in Utah. 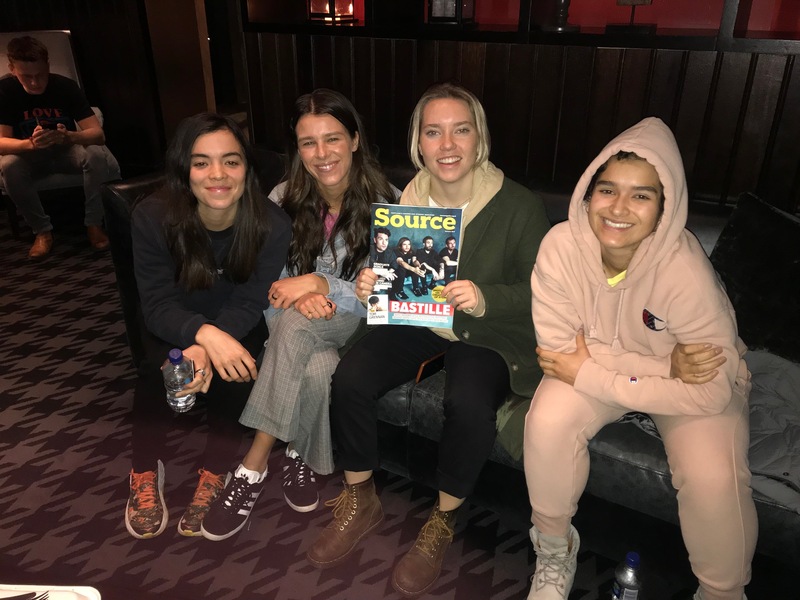 Fast-forward 10 years and this year they have toured with Australian heartthrobs 5 Second of Summer, released their debut album and embarked on their first headline European and UK tour. With a combined Instagram following of nearly 160 thousand, sold out shows across the world and an openness that sees them become friends with fans daily – they’re just getting started. 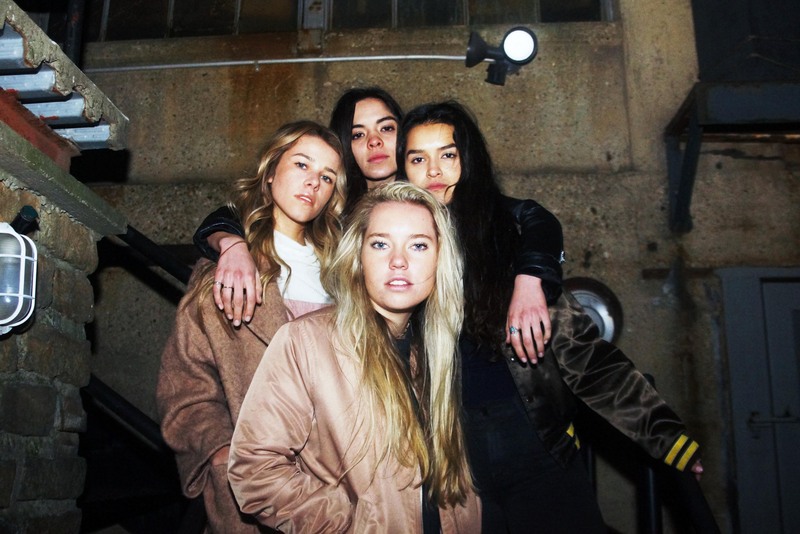 We caught up with Cristal, Alisa, McKenna and Katie before their show at King Tuts in Glasgow on Thursday (15 November) to talk touring, growing up together and not being your typical girl band. How does it feel to be on your first UK headline tour? McKenna: We haven’t been able to spend a tonne of time here, the last time we came was a few months ago in March just doing interviews. It’s so beautiful and there’s such amazing architecture like all the big red buildings, its cool with all the hills. Alisa: I feel like I haven’t met a Scottish person I don’t like, I love Scottish people. Katie: I’m pretty stoked, I like it here. We started in Germany and made our way over here, I feel to have our first show in Birmingham and have it sell out was a really incredible feeling. To have that room full and all of those kids singing every word and to feel like we do have a fan base there was really incredible. That’s what is really mind blowing, it’s places you’ve never been at all and there’s kids that have just been streaming your record, looking at your Instagram and that have just been waiting for you and then you show up and you’re like this is just crazy. McKenna: It’s really surreal, that was really amazing. What was it like touring with 5 Seconds of Summer? Katie: Their fan base is amazing, just so much energy. Alisa: It was just perfect. I feel like it was just one of those good pairs, you get a lot of opportunities for tours and there’s tours you get offered where you’re just put in front of the perfect audience that’s just going to fall in love with you. You know half way through your set you just feel like you have a whole new fan base, it’s awesome! Katie: They put on such an amazing show, I watched it basically every single night. McKenna: They’re incredible musicians and also just really nice people. We chatted with them all the time and we would go watch their sound checks, they’re just really welcoming and awesome to tour with. How do you feel six months after your debut album was released? Katie: It feels like it was released so much longer ago. Alisa: It’s really cool because it feels like we’ve just been going for it since it came out. One thing that’s great is just it’s our first full length record we’ve put out, so we’ve never been able to play a show where kids know every word to every single song. Now it feels really good because we have this body of work and so much more out there, people know what The Aces’ sound is now and know who we are and it’s just cool to be a real culture now because it stands on that album. Your music videos always tell an individual story, is that purposeful? Katie: Alisa has directed most of them. Alisa: It’s definitely purposeful. We definitely prefer to keep our music videos in house because we’ve been in it for so long that no one knows what The Aces is better than we do. I feel like every song tells a different story and has a different energy to it, I feel like we’ve handed the torch over to other directors a couple of times and we always just get the best result for us when we keep it in house. It just feels right when we do that. You’ve been a band since you were all kids, how do you stay friends on tour? McKenna: We’ve known each other for so long and gone through every stage of life together and we’ve also changed so much from the time when we started the band. Katie: We’ve been through a lot together. McKenna: It helps when you’re away from family touring, away from home for five weeks at a time so it’s nice to have our little Aces family. Katie: It’s natural for everyone to get a bit like that, but I think we’re really good at being open and talking about it when there’s issues and talking it out together. I think we’ve always been really good at that. I think one of the reasons we’ve been a band for so long is we’re really considerate of each other and of each other’s feelings and working out our issues and differences. We are all such different people but we are all so good at working with each other. Alisa: We do realise that our differences add to what this is and we need each other’s differences to make it good. I feel like we could maybe account some of it to being women. Men can do this as well, but I think we’ve noticed touring with a lot of guys is that sometimes they just won’t talk about things that are wrong. They’ll just, we’ve had some people vent to us like aw this happened, and it’s like you should probably just talk about it and they’re like aw that’s fine. How does it feel to be role models to your younger fans? Alisa: It is weird because I feel like we didn’t sign up for it, we didn’t intend to become role models it just kind of became that way just because what we are is so unique. McKenna: I think that was conscious too though because when we graduated it was like we have to do the band. We were going to split off and do our own things but this is so special. There’s something about this and just the fact that we’ve been together for so long it’s just so rare, we just knew how important and special this was. Alisa: It’s just crazy because I think that I didn’t intend that it would carry such a heavier meaning behind it. I was like oh I’m in love with music and I want to pursue my passions, but doing that has become just an example to other young girls. Cristal: We also started when we were like 10 so when you’re 10 you’re just like I want to play music, you’re not thinking about any of that. I feel the need to speak about that because it’s such an honour for us to have young girls have their whole perception of what they can do and who they can be changed just from seeing our show and seeing our band. It’s just so important to us and seeing that is just the cherry on top, having girls come say that to us is like damn that’s fly that we do this. McKenna: I feel like in a lot of ways in the last year my purpose has changed to be that, that’s so much more important to me now. I have a little sister who is 15 and with every young fan we meet I always think about her and how important that is. It’s such an honour that we get to be a part of that movement and role models for young girls. Do you find yourselves thinking about what you post online more now because of that? Alisa: I feel like for me it’s quite the opposite, if something is important to me I’m very much unguarded and myself because I don’t think you’re doing anyone a service by putting up a front or guarding yourself. I think it’s important to show young girls that no matter what it is, if it’s bad or if its ugly, you need to be yourself and you need to feel free enough to have the space to be yourself, so I don’t try to hide anything. 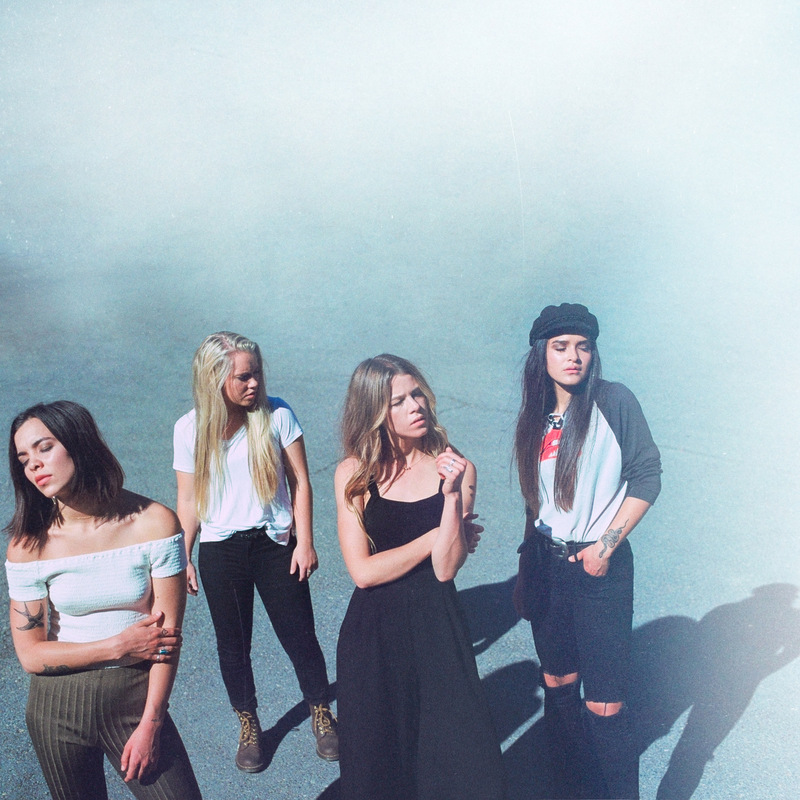 Cristal: I think it’s totally the same way for our band, we’ll always continue to be The Aces and to be who we are as four individuals, maybe come back and ask us in a year or two and maybe that will change. I think we’ll always strive to be ourselves no matter what, but I can see how people in the limelight when it gets really big and there’s millions of people I can see how, we don’t know how that feels like yet, so maybe give us some time. Katie: I do remember when I started to get critiqued on what I was doing though, just started getting people’s opinions. That was definitely a transition from having no one really watching to having an audience now of a few tens of thousands of people watching. I remember that was a little bit of an adjustment period being like ok anything I say or do on social media will have a response to it now. Cristal: That is weird, when it first started happening it was probably the beginning of this year and we used to tweet out whatever and you would get a few likes on it, your friends would comment on it, it’s nothing and now I’ve tweeted out dumb stuff that I didn’t even think about. McKenna: I’ll be texting her like Cristal no. Cristal: I’ll be like oh no and people start getting annoyed and it’s crazy. I have to think about that now because on one hand who cares people are going to get mad at whatever and then the bigger you get the more eyes there is, on the other hand there is some stuff that I’m like maybe we shouldn’t do that, I’ll probably just delete that because it was brain vomit. McKenna: We’ll look back on our Facebook comments to each other in 2008 and they’re terrifying, like hilarious. Cristal: It’s all steps I think, the more eyes you have on you the more responsibility. I think that you ruin the whole purpose of people paying attention to you if you stop being yourself. How do you interact so well with your fans online? Cristal: I genuinely view our fans as friends and people, I don’t like looking at them and being like you’re my fan, that’s weird. I go to concerts and look up to my idols and I wouldn’t want mine to look at me any different, so I think you’re just like me. I’m in the crowd at a bunch of my favourite shows too and if we can touch on that same level I think there’s something important about that. Katie: I feel like our fans are so much like us, we’ll be in the van driving and show each other tweets and be like this is hilarious. They’re just so funny like we get along with them, Cristal’s best friend is someone who was just coming to our shows all of the time and now they’re best friends. Alisa: I feel like when we do meet and greets we end up always apologising for being so chatty because they’re all just our age 19/20 whatever, even 17 isn’t that far off and you can have a funny conversation with someone who is your age. Cristal: They’re so cool too. They’re really talented, they’ll send us art, we feel lucky because our fan base is just really cool people. 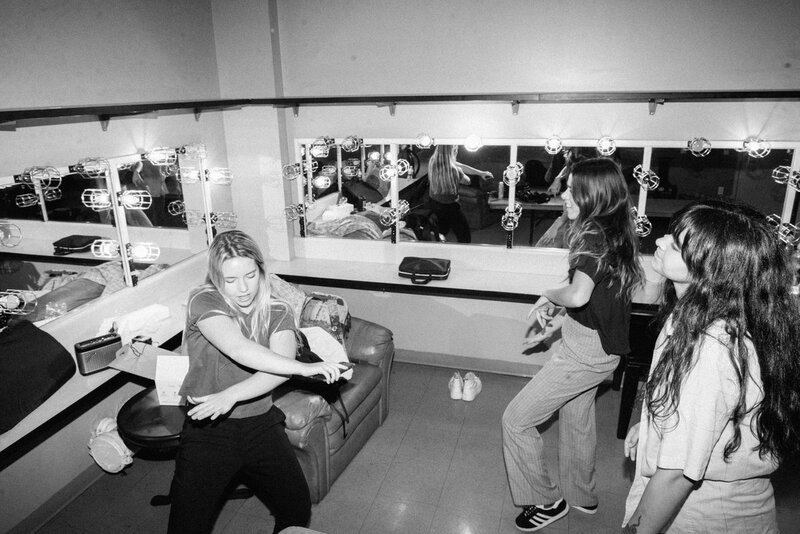 McKenna: They’re so nice to each other, they all become friends and come to shows over and over again and that’s something really important to us. How do you remain positive with so many eyes on you? Alisa: I think we are definitely so happy that we have been able to cultivate a culture and fan base that is positive because there’s so many things out there in the media right now that are negative. Even artists that are very negative, their music is about very heavy stuff and they’re very self-deprecating. We’re really the opposite of that with everything we aim to exude. We were all raised to be very confident and happy people and I think our fan base latches on to that, people come to our shows and they walk away with new friends. Cristal: We want to be positive and of course there’s something really important about expressing really negative emotion and you have to express it you can’t pretend like everything is fine all of the time, but there’s a way to express it then say how do I move on and get over this situation. McKenna: That’s how we are in real life with each other too. Cristal: You have to be strong and ask how do I get this all out and be authentic and be who I am and live in my experience, but not just dwell on it and live a miserable life. Who needs a miserable life? That’s something that’s really awesome is we know that are fans are positive and so sweet and always encouraging each other and helping each other. You’re all so young but so sure of what you’re doing, how did you get to that point? Cristal: No one is really sure of anything, but we were raised really well. I can genuinely say thanks mum and dad you did a dope job. We were raised in really stable homes and our parents were always really encouraging of us and that has made all the difference. From being 10 years old being like I want to be in a band and travel. I always knew I could do that with them and I think they always said that too, but there was always, from the time we were little for whatever reason we were just very tenacious and always this idea of at least one of us was sure of something even if the other three at one point weren’t, like I don’t know what’s going on there was always one of us, and that always switches between us. Katie: I think it has a lot to do with our families and we’re very fortunate, but at the same time I think even if you don’t have that, for kids who aren’t as fortunate to have such a stable home life, you can still have that confidence because ultimately you have to find that within yourself. That’s a journey you have to take, even with a great home life or without you still have to find that within yourself. McKenna: I actually have a really amazing mother and sisters but my home life wasn’t the best growing up, my parents got divorced and I didn’t have the closest relationship with my dad. I think finding this friendship and this band was a huge thing for me too, it just uplifted me and gave me the confidence to do it. I feel like I could lean on them all so much. Cristal: We all do and I feel like there’s times when Alisa is so sure and I’m not then she’s nervous and Katie’s super sure. It all fluctuates between us and we all have each other and I think that’s why it’s lasted is because we still hold on to that hope, but at the same time don’t get us wrong there’s so many times when we all look at each other like we don’t know what’s going on. Katie: So many times, the best thing anyone can tell you is that no one knows, you can either live your life having a blind faith or you can dwell on the negativity, either way the result is the same. Cristal: You have a choice if you’re feeling down and negative you have a choice to keep moving even if you’re feeling that way or to just stop moving all together, and that’s what we’ve always done. Even if we weren’t sure it’s like what can we do today, what actions can we take to keep going. McKenna: We just keep chipping away at what our dreams are even if we have all these obstacles and don’t really know what’s going to happen, it’s how you can keep going, you just have to keep going, wake up everyday. What advice would you give to Source readers who aren’t sure of what they want to do? Alisa: Just follow your gut and follow your heart, do what you love and as long as you’re doing that, that’s fine. Katie: I saw a quote the other day that was like we spend so much time thinking about the next step we’re going to take when you know exactly the step you need to take, you just waste so much time debating and thinking about it, I think it’s just about moving forward with confidence. McKenna: That was a huge thing. There’s one book that we love called You Are a Badass that talks about how you have every answer in you that you’re going to make in your own life and what you need to do is just get yourself to a point where you can find it. Cristal: Nothing is ever going to be perfect so don’t waste time on that, when we were younger we just put music out all the time and just kept going and going and it wasn’t perfect. We have friends and people who are like oh I want to release music but it’s not right yet and I’m just like it’s never going to be right. You’re never going to feel like it’s 100% right, you will get caught up on that and won’t make any progress and won’t make any progress if you want things to always be perfect. Really just stop and enjoy stuff and do whatever it is that makes you happy. Katie: It’s like exercising a muscle, if you don’t go for it you aren’t going to go anywhere, but if you keep going and keep building and building it will be something. Cristal: It’s only going to get better, we were putting music out when we were 16 and we were kids, I definitely wouldn’t put that out now but that got us here, it’s just all steps. For people who are new to the band, how would you define The Aces? Katie: We always say our sound is like alternative pop, but as an entity I’m not sure. Cristal: I feel like I love people finding their own definition of us. Alisa: I feel like we’re something different to every single kid, I don’t know what we are to them, we might be a confidence booster to someone and something they want to be like, I don’t know. McKenna: I think define it yourself. Cristal: We’re just four people making music, that’s it, four best friends. Katie: The definition of The Aces is four simply complicated girlies. Are you following us on Instagram and Twitter? Make sure you do for all the latest interviews.